What can you hear when you are completely silent? Is that the wind blowing? Birds chirping? Sun shining? World whirling? Maybe a car engine or faraway plane? Maybe kids laughing or playing tag? Be still. Listen. Focus on the now. What do you hear? By paying attention to what is otherwise lost in our noisy world, you can develop your imagination and curiosity and learn a lot more about yourself. Beautifully illustrated and gently written, Silence encourages children to stop, listen, and reflect on their experiences and the world around them. Using qualities of mindfulness and peaceful meditation, readers are asked to pay attention to what otherwise gets lost in our noisy environment. By centering oneself in the present and listening to those sounds, children can learn to become more self-aware and comfortable with their own thoughts and feelings, and use all this as a means to develop imagination and curiosity. Silence may even help children learn a little more about themselves. Lemniscates is an illustration studio of artists and designers located in Barcelona. Their creative and imaginative books spark curiosity in children of all ages, and encourage children to develop their unique talents and skills for a deeper understanding of themselves and the world around them. 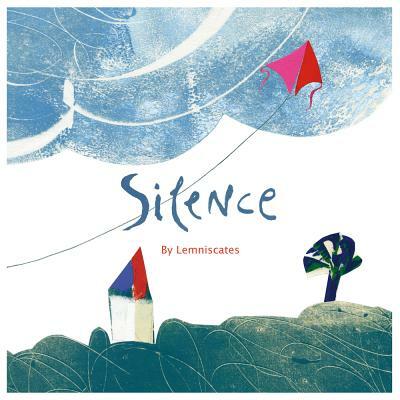 Visit them at www.leminscates.com and follow them on Twitter: @leminscatesbook.